Even in this 21st century access to basic sanitation remains as a challenge to leaders despite of the advancement in modern science and technology. In the developing countries it is really a challenging task to maintain sanitation in the society. In this quick running world people are getting busy with their day to day life activities and in these only some are keeping up their hand in social activities. Global sanitation may not also be occurred to a level because of poverty and also may be due to material deprivation. In order to pass a healthy and hygienic environment to the future we must need to take care about this. This mainly involves the mental attitudes of the people living in the society. May not be attained at a time but it is a really hard task to cope up with which can be attained with some changes in our societies and with some implementations. In India there were some missions started such as Swatch Barath Mission which were being held in order to reach a level of sanitation and maintain it in the society. This mission as a part of it included Swatch Barath Mission Grameen which mainly included the building of toilets in order to avoid defecation of people in open areas there by contributing a step in the progressive levels of sanitation. Through this mission a remarkable progress has been occurred. Although it seemed to be a hard task it was being done mainly by creating public awareness. 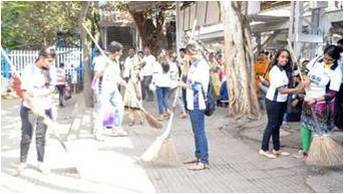 Mainly increasing the civic sense of people contributes much to the progressing levels of sanitation in the society. It is the responsibility of each and every single person in the society in keeping up a hand for making a sanitized society. It is very important to maintain sanitation as if we keep the environment health and hygiene then we will be healthy and hygienic. As being said that health is wealth if we maintain the sanitation in society it indirectly helps in increasing the economy of it. As of now there are not many houses without having electricity then why not the number could be same or even less in not having toilets built. Toilets must also come under utility services. It is really very unhygienic that even in some places people defecate in open areas and this mostly occurs in rural areas. This may be due to their economical lag but this leads to stunted growth in growing children which is a difficult situation for a child survival. By avoiding those doing so nearly ten percent of the global diseases comes to an halt. These non-hygienic habits may pollute rivers or the other water bodies which do not provide a safer drinking water there by threatening the ecological balance. 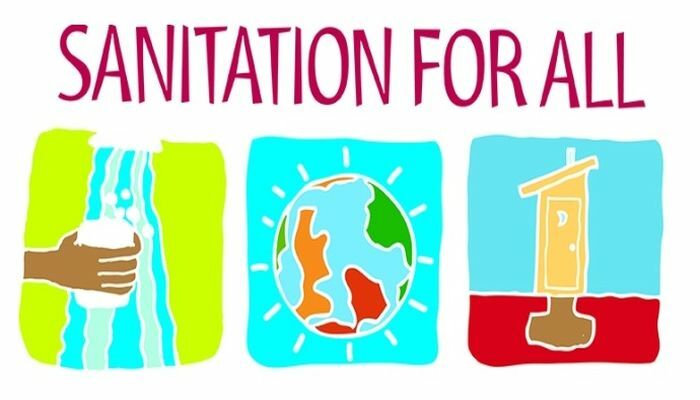 Sanitation can be provided by making some steps into implementation. Thinking in a different manner may even reduce the economy needed to be spent by the government in increasing the sanitation. Thinking innovatively and performing it surely forms steps in the progressing levels of sanitation. 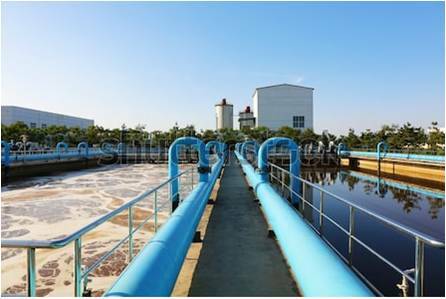 Although sewage and drainage systems were built they contribute to depletion of sanitation because of their improper maintenance. Proper maintenance of sewage systems includes cleaning them time to time and not getting any of it stagnant. In some areas there are not even bathrooms and leaders of that area must take care in building them and also providing the sewage systems. Even people should keep up with this by not blocking these pipes by properly maintaining their own bathrooms sanitized. Even though treatment of sewage water is done before releasing them into sea water it was being done only in some places. And this must be implemented all over by the leaders. By making this pollution to water bodies does not occur. By stopping this pollution in the early stage by properly maintaining there is no need to spend much economy in getting safe water for daily usage. In some places there are not even bath rooms and toilets which are the under the basic needs. So there is a need for building these which should be taken care by the leaders and also people in some areas must be created with some awareness regarding these. Also there is a need for building public toilets and also maintaining them cleanly. Even though in some places these were already built there were no people using it because of the improper and unhygienic maintenance. These public toilets were placed in order to improve sanitation but these being maintained improperly still increases the unhygienic conditions. So building them is not going to be a big deal but their proper maintenance and creating awareness among the societies for using it is very much important. Building toilets and public toilets improves sanitation in the society up to a great extent. Proper garbage disposal greatly stretch to the sanitation. As of now we can see in some areas where garbage including the hose-hold wastage and industrial wastage are being disposed in the empty places or into the water bodies. For this garbage bins must be placed at the strategic points. Even in some places where the bins were placed it is still creating an unhygienic environment as they are not being cleaned time to time which is equal to the case before. By doing these properly we can maintain the sanitation. This work is generally being done by the government if it is given to any private ones it helps in maintaining sanitation and also increases employment and economy up to some extent. Roads should be maintained cleanly. The roads sides are getting worsen day by day due to activities of the people travelling on them. In this aspect people must be acquired with some civic sense so that they would not spit on the roads or throw any waste on to the roads. They must be motivated to use the road side dust bins placed at some places for the sake of people travelling on the roads. In many of the states we could see the stray dogs and cattle wondering on the roads. This must not be encouraged and people belonging to those areas must complain to the government or else can contact with some private organizations held for these animals. These things also contribute to the sanitation of the society. Mosquitos and flies are the main reasons for spreading the diseases and these must not be allowed to grow. Stagnant water and garbage are the main cultivating mediums for the mosquitos to grow. So care must be taken to prevent the water to be stagnated which mainly occurs in the rainy seasons. In some places water are stagnated for their daily use in such cases care must be taken in order to prevent mosquitos and flies growing there by using mosquito nets or the other. And also people must take care that they are beware of these mosquitos and flies in order to prevent diseases. This also contributes to sanitation in the society by creating healthy environment. Pollution is the main cause of unhygienic environment. In this fast moving world using of motor vehicles has become very much common which raised the levels of pollution in an unexpected range. Industries contribute much to this pollution. In a recent case in Delhi in India pollution has reached to a level where no one could control it. In order to avoid such case the number of vehicles being use must be decrease and there should be filters provided for each and every vehicle and even for industries so that smoke before getting released into environment is passed through these and so harmful pollutants are not released into environment. Creating public awareness is the main criteria through which a major step is put forward. It mainly increases the civic sense of the people. Some missions must be conducted and the people must be created with awareness in this aspect. Public awareness can also be increased by making advertisements on the televisions as done in India in the case of Swatch Barath Mission. As technology is growing much rapidly in every part of the world using it rapidly creates the awareness among the people all over. By doing these perfectly we can see our society sanitized. Moreover if each and every one in the society stays themselves clean and also keeping their surroundings clean and neat it is enough to see the society sanitized. By these there could be a basic access to sanitation in our society and this mainly occurs by creating awareness among people. This may not be occurred at a time but if it starts rapid progress can be attained. Let us be sanitized and so the society be. Author Bio : Kancharla Ghnaneswari, A participant of International Essay Competition, November.Won $20 Gift Coupon and e-Certificate.